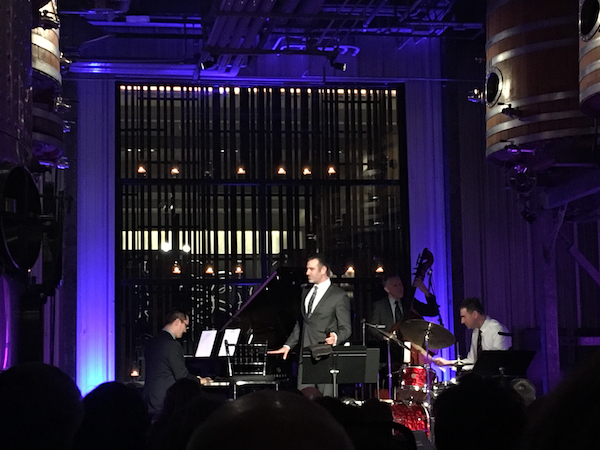 When Paul Marinaro began planning a tribute to Nat King Cole for the illustrious star’s 100th Centennial Birthday celebration, he faced a seemingly insurmountable task. How to choose from the hundreds of songs Cole recorded and performed over the course of his life as a pianist and singer? At the Bravo Niagara! Concert on Saturday, April 13th at the Stratus Vineyards, Marinaro made excellent choices for the audience to fully enjoy. 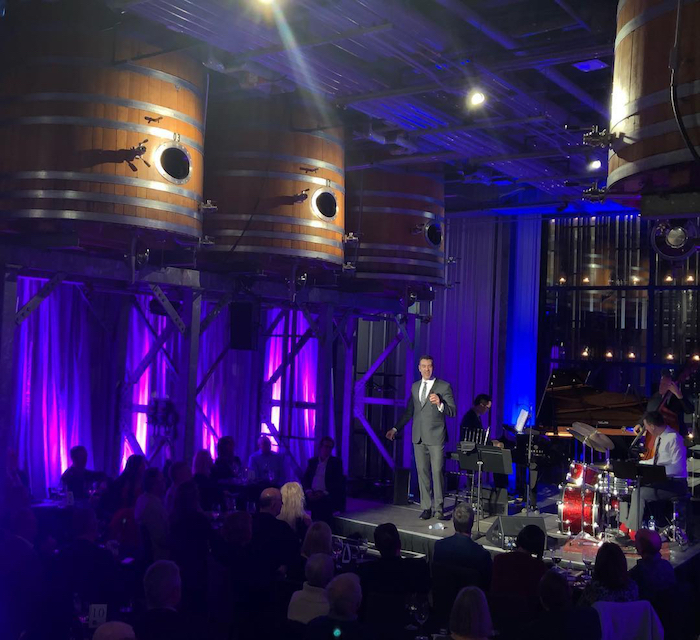 The unique venue, located on the picturesque vineyard and modernistic building in Niagara-On-The-Lake, offered the audience an intimate evening of the vocal warming qualities of jazz vocalist Paul Marinaro. Marinaro’s vocal phrasing and timing is indeed smooth and velvety like fine red wine. A perfect blend resulting in an evening of enchanting interpretations of the songs of Nat King Cole. Paul opened the evening with the readily identifiable Nat King Cole song, “Straighten Up And Fly Right.” An eager segment of the audience wasted no time in mouthing the lyrics, which Paul acknowledged with encouragement. From the first song onward, Marinaro provided tidbits of history on Nat King Cole and the intent of the lyrics. Two highlights of the evening were Ellington’s “Don’t’ Get Around Much Anymore” and “Caravan.” Paul delivered a smooth interpretation of “Don’t Get Around Much Anymore” that felt just right in the unique settings of vats, pipes, and barrels. The up-tempo version of “Caravan” put the stellar trio on display, as well as, Marinaro’s skillful ability to swing without strain. The Ben Paterson Trio featured the fine New York-based pianist/organist Ben Paterson, Mike Downes on bass, and Jim Doxas on drums. The trio, on instrumental numbers, had fantastic chemistry and each shined. An appropriate complement to the evening as Paul recounted the early years of the Nat King Cole Trio. An enchanting evening it turned out be. Thanks to the magnificent efforts of Bravo Niagara’s! co-founding team of Chris Mori and Alexis Spieldenner as they’ve produced artful jazz, as well as, classical music concerts in a unique environment. Creating a beautiful experience for music lovers to enjoy.